Eli has experience in both temporary and permanent recruitment and worked for Brite for 12 years before taking a break to have her son. She re-joined Brite in 2017. 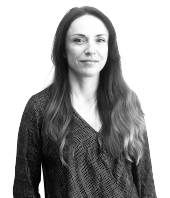 Having previously specialised in the legal sector, she now manages both our resourcing activities and client relationships for organisations primarily within the Utilities and Energy sector. Based in Bristol Eli is in a good position to cover a geographical footprint which includes (but is not limited to!) the South West; Wales; M4 corridor and the Midlands.